The above were integrated within four months. The pace of completing these integrations further validates Newgen’s approach of planning in number of hours and days rather than weeks and months. “This is a testament to the power of our modular and modern platform where acquirers get integrated at a lightning speed. " said Sunil Jhamb, Founder & CEO of Newgen Payments. High Availability: We ensure your payments are always processing oblivious to acquirer uptime. 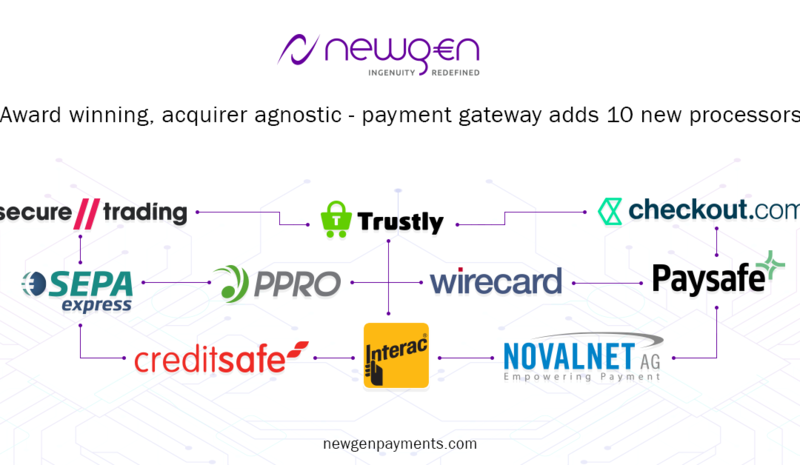 The payments automatic failover to the next available acquirer is in-built into the Newgen platform. Fully-managed Reconciliation: No more hassle of reconciling transactions with reconciliation files in different formats from different acquirer at different times. All integrations support Newgen's One-Click Reconciliation. Intelligent Transaction Routing: Now merchants will be able to fully utilize Saarthi - Newgen’s Intelligent Transaction routing to steer their payments towards optimized speed and cost savings. Real-time Consolidated Reporting: All transactions consolidated at one place with actionable insights, monitoring, capture/void and other actions. One Integration: With single integration with Newgen, merchants can focus on their core business and leaving all the technological challenges to Newgen. Performance Monitoring: The merchants get a clear picture about acquirer uptime, speed and performance in a single view. We are continually striving to provide our merchants with the best-in-class payment platform and therefore, will keep working on further integrations. Email us at info@newgenpayments.com to get in touch.